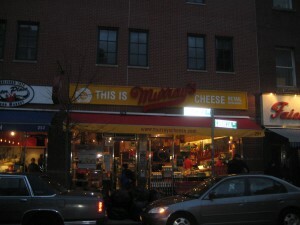 I’m actually very upset that it has taken me this long to finally go to Murray’s (254 Bleeker Street off of Leroy St.). I’m so hooked on East Village Cheese that I neglected to go to one of the city’s best cheese shops but a few weeks ago they were doing a cheese & Kelso Beer tasting so I jumped at the chance. Even before I got inside Murray’s, I was already amazed by the other stores on Bleeker St. 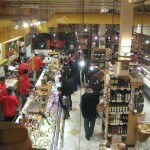 There was Amy’s Breads, Lobster Place & Faccio Pork Store all right there next to each other! I was amazed at how badass this block was. 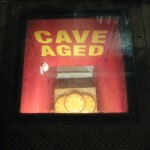 Thinking that I can’t get more amped, we get to Murray’s & we got a chance to look down into a cheese aging cave through glass in the sidewalk! I knew right then that we were in for something awesome. The interior is bright & not that cramped (unlike East Village Cheese, sorry!) 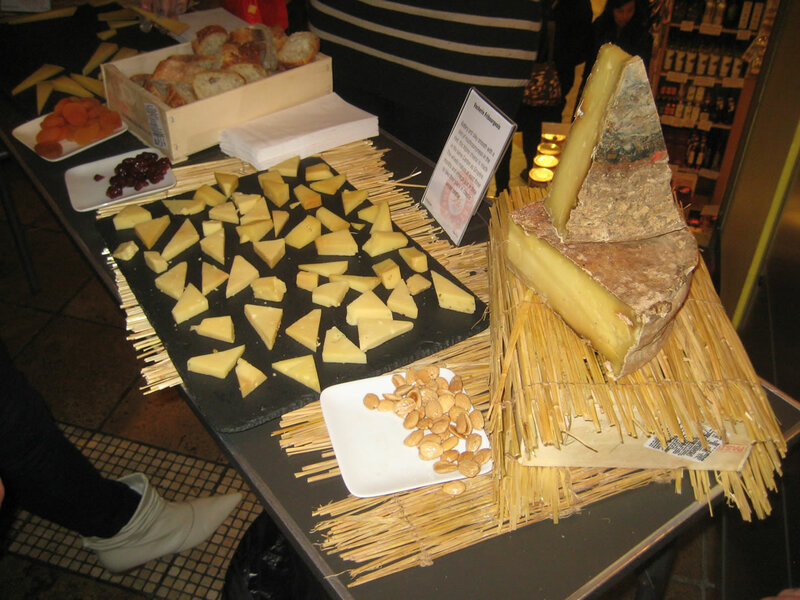 with clearly market displays, pastas, breads & other products. The actual tasting was in a test kitchen 1 flight up that had a glass wall overlooking the entire store which was a really nice view. We were given name tags with words commonly used to describe cheese (‘barnyardy’, ‘subtle’, etc. 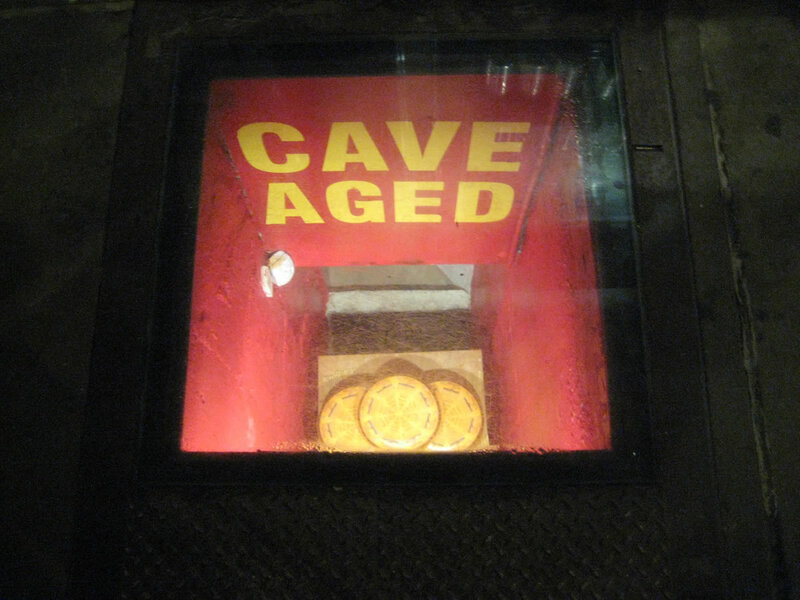 A friend got ‘slightly aged’) which was pretty cool & helped people to mingle. 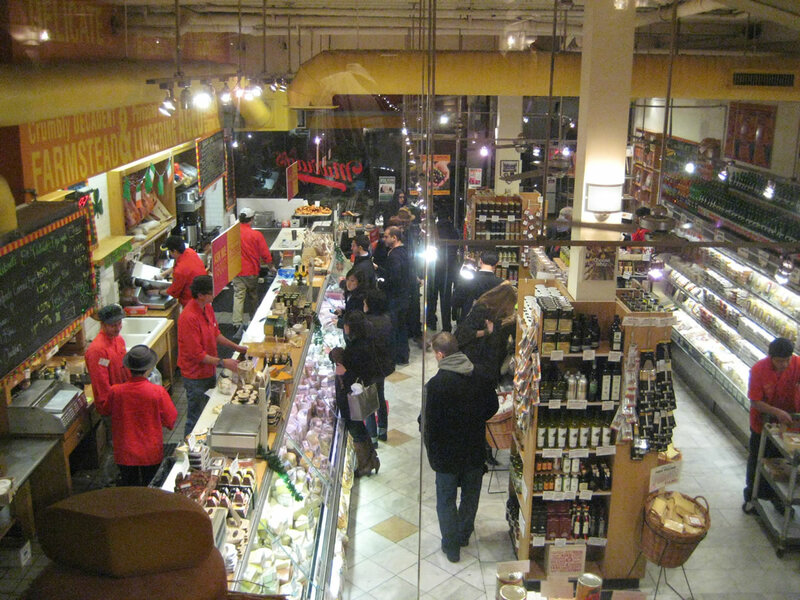 Everyone really was here for the cheese & the selection that they geniuses at Murray’s chose did not disappoint. 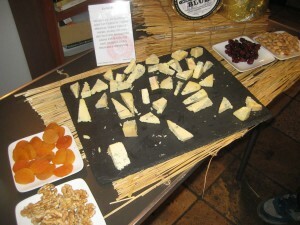 There were 3 tables, each with around 2-3 cheeses each. 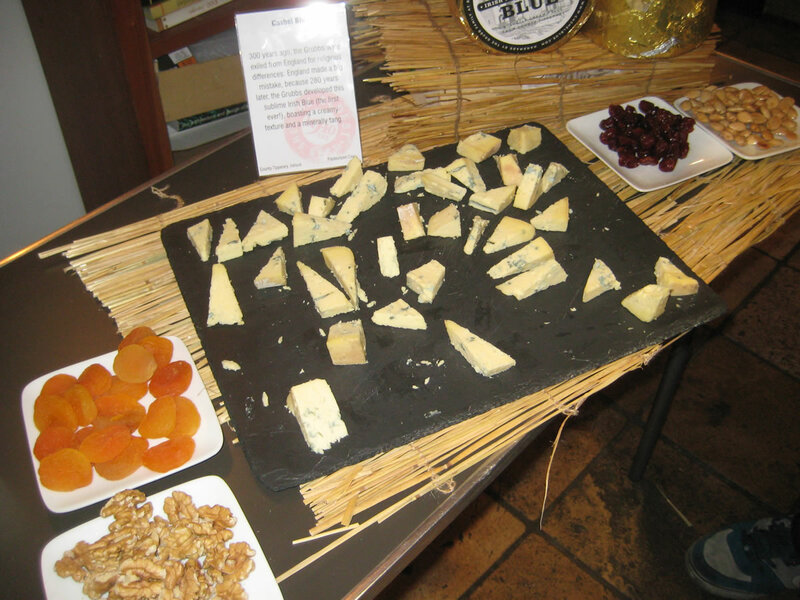 The staff behind each table knew the cheeses in & out & there was plenty of bread, fruit & nuts to accompany the amazing cheeses. Honestly, I can’t remember the name of my favorites, but I’m sure that they were softer cheeses. There was a wide selection though & with the 3 Kelso beers (Nut Brown Lager, Pilsner & the Recessionator; a seasonal, hoppy doppelbock) kicking in, we were all really enjoying ourselves. Some people got tours of the aging caves, but we did one better & were able to taste an amazing selection of meats & cheeses from behind the counter as our friend works there. I can honestly say that Murray’s has the widest selection of cheeses that I’ve ever seen & I will be coming back to shop or pick up one of their sandwiches (maybe both)!